The Woodbury community is bustling with business and there surely is no shortage of restaurants. In a community packed with so many dining options, to be a standout joint you must bring something unique to the table. Moody Arafa, owner of Ze’s Diner in Woodbury, certainly does just that. Moody Arafa and his wife Zeze Arafa are co-owners of Ze’s Diner and have been in the restaurant business for over 30 years. But it wasn’t until 2012, after their success with Cahill Diner in Inver Grove Heights, that this family decided to bring their knack for snacks to the city of Woodbury. Ze’s Diner is a 1950s-themed restaurant famous for a diverse menu that mixes American and Mediterranean cuisine and of course, all-day breakfast. “When we first started the restaurant business, I ran hotels, we had really good experience with food,” Moody said. It is one of their top priorities to make sure that the food is exceptional. “The menu is so good…you’re going to come back for more,” said Moody, boasting of the most popular items on the menu like the Cajun Breakfast that comes with andouille sausage and spiced with cajun seasoning, or Ze’s Slam that comes with two eggs, hashbrowns and choice of not one but two meats. 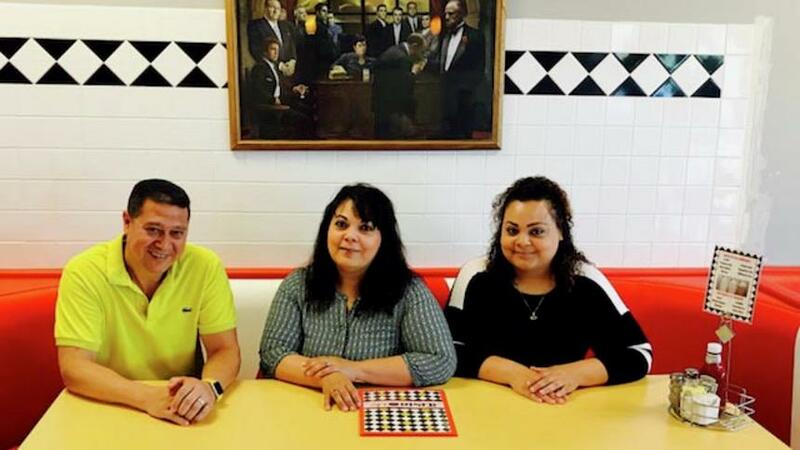 This family’s ability to create a successful business gave them the liberty to say farewell to their day jobs and hello to the fast-paced life of running a restaurant. In 2008 Moody took a bold leap and decided to quit his job in order to pursue his passion for cuisine full time. He, his wife and their daughter, Amal Arafa manage all of the restaurant operations. But it’s more than just the food that Moody and his family put their hearts into. “Customer service is really our core value,” he said. The Arafa family puts a tremendous amount of effort into making sure that their customers are well taken care of and not only their customers, but their staff as well. Moody was proud to share that the average cook at Ze’s makes about $19 per hour. In a tucked away location at 2190 Eagle Creek Lane, Ze’s Diner is a hidden gem of Woodbury providing much more than good food. Moody is extremely involved in the community and regularly supports Woodbury in various ways. “We love community, I’m part of the Chamber,” he said. Ze’s Diner also regularly supports local schools, churches and even participates in the annual Chili Hubbub fundraiser. The Arafa family has worked very hard to create and maintain a great restaurant that not only provides delicious food, but incredible service and an unforgettable experience. © copyright 2019 Ze's Diner. All rights reserved.